A story of a man that has the best of both worlds. 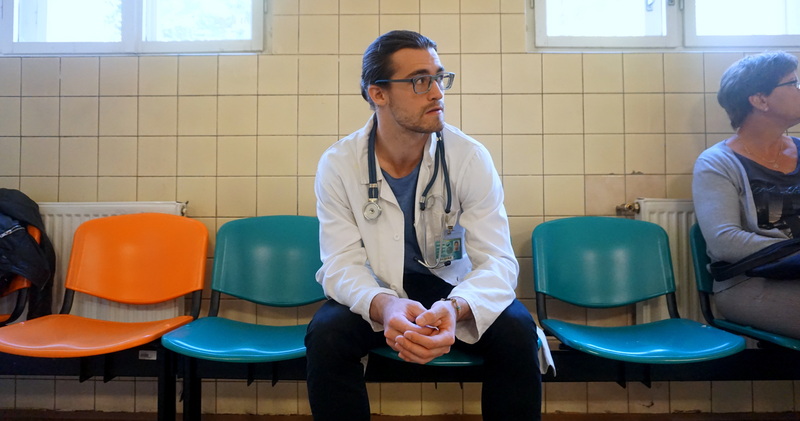 Ander is a medicine student who bartends at the Drunken Monkey Pub Crawl. 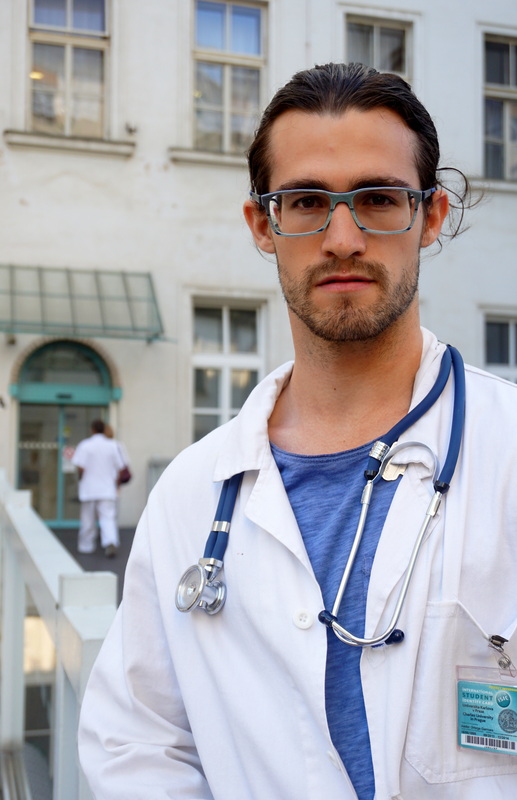 Close-up of Ander in front of the hospital where he works during his medicine studies. Ander waiting for his patient’s test results.